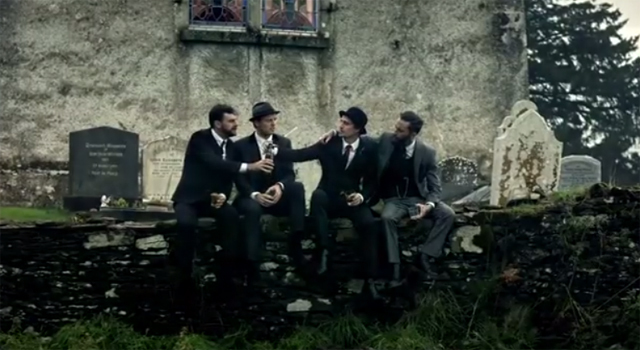 If I was to create — what at least in in my head, would be the perfect Irish whiskey ad — it would look and sound like ‘The Other Wall’, a new ad from Tullamore Dew. For all purposes it appears they are there to say a final farewell to a dear friend. But then the church bell rings, a bride appears and it’s obvious that Jerry is being toasted before he departs on another kind of journey. ‘The Other Wall’ ad was created by New York ad agency Opperman Weiss and directed by Laurence Dunmore of RSA Films.